Dimensions: 21" Wide, 25" Deep, 35" High. 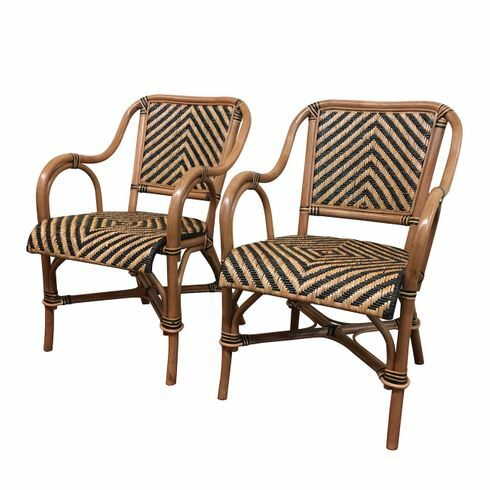 The Safari rattan dining arm chairs feature a jungle theme woven into the chair. 21" Wide, 25" Deep, 35" High.